Wow - it has been quite a while since I have been here. After a somewhat self-imposed hiatus I figured I needed to reacquaint myself with the computer and this blog so, here I am. I also thought, since we started a new season of Tate's Kitchen dinners, I had better get busy sharing some recipes, yes? First - my farmers market visit was a rather odd event. I do not remember finding such beautiful strawberries so early in the year. Nor do I remember so much beets and fennel. Maybe my memory is getting a little slack...at any rate...those are the items I was gathering so those are the items I needed to produce for dinner. We opened with these black truffle oil french fries. Don't even know where to start with this dish. Make these soon. Next we served these little fresh strawberry crostinis - drizzled with balsamic vinegar and a turn of fresh pepper - these are lovely. Right before the entree arrived to the the table I sent these steamed - then grilled - artichokes out with a lemon garlic aioli. Entree this month was the Proscuitto wrapped pork tenderloin done with Herbs de Provence and fresh rosemary, served with garlic confit mashed red potatoes (geez that's quite the mouthful). With the main course also came the roasted beet and fennel salad. Although this time I served it on a bed of mixed greens and with Blue cheese instead of Goat cheese. Delicious both ways. I guess it was finally time for dessert? 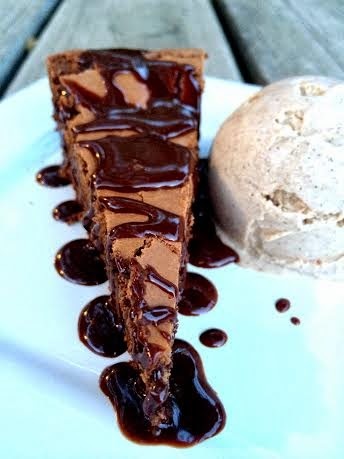 There was an espresso brownie tart with hot fudge sauce served with a small scoop of homemade cinnamon vanilla ice cream. 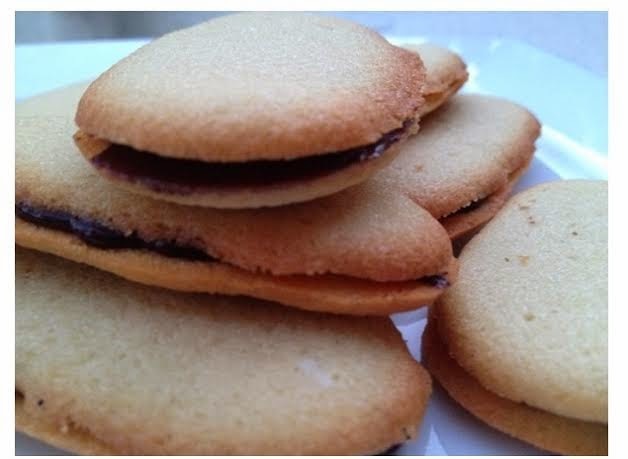 And I almost forgot, I made these little Milano cookies as well. I think everybody left here pretty fat and sassy? And I will try and get several of these recipes posted before the next event.